PHOENIX (Jan. 29, 2019) – Big Brothers Big Sisters of Central Arizona (BBBSAZ) is pleased to announce a new $108,500 grant received from Virginia G. Piper Charitable Trust. Funds granted will be used as part of a strategic plan to increase volunteer retention. BBBSAZ’s goal is for every mentor/mentee “match” to stay together as long as possible. The longer a mentor (Big) and mentee (Little) match are together, the more influence a Big has to increase the protective factors that insulate the Little from negative environmental factors. Leadership at BBBSAZ believes there is a definitive need to strengthen mentor retention efforts to provide a stronger and lasting impact on the youth aged 6-18 served in Maricopa County. 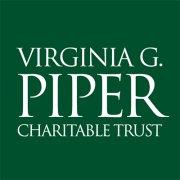 Virginia G. Piper Charitable Trust awards grants that continue Virginia Piper’s commitment to arts and culture, children, education, healthcare, and medical research, older adults, and religious organizations. “Piper Trust is pleased to support Big Brothers Big Sisters’ plan to strengthen mentor retention,” said Mary Jane Rynd, president and CEO of Virginia G. Piper Charitable Trust. “Enduring adult relationships during the formative years of youth can be absolutely transformational—building resilience and confidence in our community’s next generation,” said Rynd. For almost 65 years, Big Brothers Big Sisters of Central Arizona has operated under the belief that, inherent in every child is the ability to succeed and thrive in life. As the nation’s largest donor and volunteer-supported mentoring network, Big Brothers Big Sisters makes meaningful, monitored matches between adult volunteers (“Bigs”) and children (“Littles”), ages six through 18. We develop positive relationships that have a direct and lasting effect on the lives of young people. For more information, contact BBBSAZ at 602-264-BIGS or visit www.bbbsaz.org. Virginia G. Piper Charitable Trust supports organizations that enrich health, well-being, and opportunity for the people of Maricopa County, Arizona. Since it began awarding grants in 2000, Piper Trust has invested more than $429 million in local nonprofits and programs. Piper Trust grantmaking areas are healthcare and medical research, children, older adults, arts and culture, education, and religious organizations. For more information, visit pipertrust.org. Follow us on Twitter @PiperTrust; visit us on Facebook.